The City of Phoenix and its surrounding suburbs make up one of the largest metropolitan areas in the United States. Beneath this bustling metropolis lie the remains of the Hohokam, a Native American culture which flourished in the Phoenix Valley over 1,000 years ago, with the remains of large agricultural villages and tens of thousands of acres of farmland irrigated with canals constructed off the Salt River. One of the larger Hohokam villages in the Phoenix Valley is Pueblo del Alamo, which has been determined eligible for listing in the National Register of Historic Places (NRHP). However, rapid development in and around this area has created a delicate balance between supporting the needs of today’s society and preserving the area’s history. To help achieve this balance, one private developer called on Terracon’s cultural resources management team, which is dedicated to conserving some of the fragile and intriguing aspects of historical sites around the U.S.
Archaeological sites are considered a non-renewable resource, and protecting what remains of the Hohokam culture is a challenge. Protecting such cultural resources can be accomplished either through the preservation of a few archaeological sites, or through careful archaeological excavation to document the vestiges of this culture in advance of new development. Following federal, state, and local regulations that provide protection for cultural resources, Terracon excavated a large portion of Pueblo del Alamo and documented this important site prior to development. Excavations conducted by Terracon’s team of archaeologists unearthed ancient pithouses, fire pits, canals, and human burials. 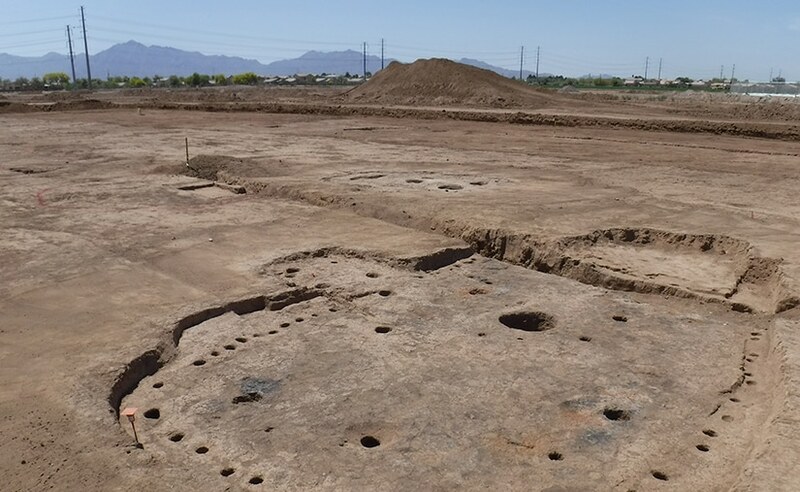 Within these pithouses and pits, the team discovered artifacts used by the Hohokam, including beautiful decorated pottery, stone tools, and elaborate jewelry made from imported Pacific Ocean shell. These artifacts are currently being analyzed in Terracon’s archaeological laboratory. Once all the information is documented, the entire collection will be housed in the Pueblo Grande Museum in Phoenix. Cultural resources management is a critical component when navigating federal and state regulations on project sites. Documenting and preserving artifacts helps communities maintain their historical identity while responding to development needs. Terracon’s work resulted in the client gaining authorization from the appropriate governing agencies to move forward with development while ensuring remarkable artifacts were preserved for future generations. John D. Hall, M.A., RPA, is the senior archaeologist in Terracon’s Arizona offices. He has 20 years of experience managing cultural resource management projects; is well-versed in the archaeology, history, and ecology of the U.S. Southwest; and has particular experience in prehistoric settlement, subsistence, and material culture.